Recently, many developers and publishers are remastering the old original games to high definition and are making them available for the newer platforms. Naruto Shippuden has decided to join the ranks with their updated version calling it Naruto Shippuden: Ultimate Ninja Storm Trilogy, which contains Naruto: Ultimate Ninja Storm, Naruto Shippuden: Ultimate Ninja Storm 2, and Naruto Shippuden: Ultimate Ninja Storm 3: Full Burst. CyberConnect2 and Bandai Namco Entertainment have also released Naruto Shippuden: Ultimate Ninja Storm Legacy which contains all of the games above as well as Naruto Shippuden: Ultimate Ninja Storm 4 which was released on the same day. There is not much you can say about the remastered version of the three games as it has only changed the graphics to make it more visually pleasing. So, this review will be looking at each game individually. Now, the first thing that is great about each of the games is the storyline. Each game is based on the Japanese manga series written and illustrated by Masashi Kishimoto. All of the games follow the manga closely. The first game, Naruto: Ultimate Ninja Storm, is based on young Naruto who joins the ranks of Team7. Players see the journey of him defending Leaf Village and taking the chunin exams. It is surprising to see that the remastered version has not improved the performance of the games, as the loading screens for the first game in the series is still extremely long even though the games are on the updated platforms. At the start of Naruto: Ultimate Ninja Storm, players are dumped into the middle of the village where you have to do many side quests. This is frustrating as I wanted to just get straight into the story and as I have never played this series or read the manga, I found no direction as to what to do which then lead to me wandering around for a bit. But I did find the mini-games to be really fun. The second and third game improved this massively. The second game, Naruto Shippuden: Ultimate Ninja Storm 2, sees Naruto grown up and he returns from training with Jiraiya and Naruto rejoins the current Team7. This game leads to a brutal showdown with Pain. In the first game, players are able to free roam the village. This free roam is the same in the second version, however, there is more direction to where you need to go and you get to play the anime quests quicker. I still found this free-roam quite tedious as I wanted to jump into the fights and I believe the free-roam does not suit this kind of game at all. In the third game, Naruto Shippuden: Ultimate Ninja Storm 3: Full Burst further limits the free roam which makes players able to jump straight into the story. This change improves the game immensely, as players are now not running for as long to get to one quest to another. Naruto Shippuden: Ultimate Ninja Storm 3: Full Burst is based on the fourth great ninja war and is the final game in the remastered trilogy. The main thing that really stood out for me in the third game is the substitution change of the fighting mechanic. 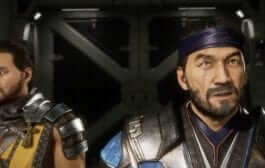 In the previous games, players could spam the mechanic in the fights, but in the third players have to time and strategize how they defeat the enemy. The combat system in the fighting game is relatively simple as it only has one button for attacks, unlike Tekken for example which has four or more buttons for attacks and different combos. However, Naruto offers special jutsu attacks that have amazing animations. 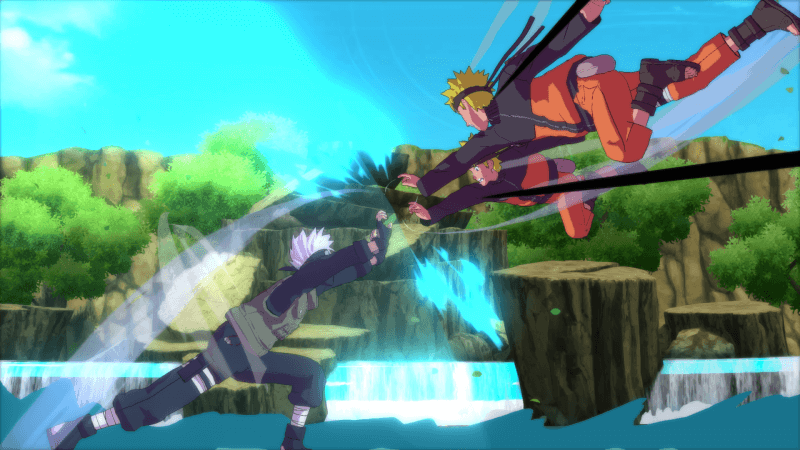 These jutsu attacks, likewise everything else in the game, become more extravagant with each new game. The simplicity is welcoming for a newbie like myself, and this means that I do not have to remember too many combinations if there were more attack buttons. The combat throughout the games gets smoother over time as the developers improve every aspect of the original game to making it more enjoyable for the players. Now, let’s get to the best part of these games that will make any player want to pick up a copy, the boss fights. The boss fights are incredible and have loads of dramatic animations that keep players hooked to the screen. Throughout the games, the boss fights get more dramatic and hyped and the combat mechanics for these fights also improves by the developers adding different elements to them such as mini-games. I cannot stress enough at how good these boss fights are. The story mode is just incredible in the games and players even get to play more anime characters with each game as the story progresses. If players want to broaden their horizon in the gaming world, then this game would be an amazing choice to start off with. Verdict: An incredible remastered trilogy, but could have improved the performance of the games along with the high definition graphics. 100% would recommend as the storyline is insane.